Our consultants are thoroughly vetted through a formalized recruiting process and undergo a week-long training program hosted by our professional mentors. Each of our projects span the course of 10-12 weeks and are staffed with 2-3 consultants, 1 project manager, and 1 consulting director. Our methods of recruiting, training, and staffing our consultants has resulted in incredibly high client satisfaction and global recognition from our parent organization. Our consultants work with selected professionals who provide their expertise, guidance and mentorship for every project. Girls Who Code is a non-profit organization dedicated to closing the gender gap in technology by supporting and increasing the number of women in computer science. Girls Who Code offers free summer and after-school programs to over 12,000 female middle and high school students across the United States. Currently, 19 million households qualify for bankruptcy, but only 0.5 million households file due to large legal costs and tedious paperwork. Upsolve seeks to help low income Americans by automating personal bankruptcy and partners with legal-aid clinics across the country. To date, Upsolve has worked to erase over $1.5 million dollars in debt. Founded by the American Heart Association and Clinton Foundation, the Alliance for a Healthier Generation seeks to promote lifelong healthy habits in children through community and school-based initiatives. Its Healthy Schools Program has reached more than 18 million students, primarily from low-income populations, across 31,000 schools. Founded in 2004 by current CEO Bishop Taylor and Debra-Ellen Glickstein, Long Island City based Urban Upbound (formerly the East River Development Alliance) is a non-profit organization that uses a grassroots community organizing approach to provide residents of public housing neighborhoods in New York City the tools and resources to break cycles of poverty. The Rainforest Alliance is a non-profit organization that works to conserve biodiversity and ensure sustainable livelihoods by transforming land-use practices, business practices and consumer behavior. At the heart of the Rainforest Alliance’s approach is the understanding that the health of the land is inextricably connected to the wellbeing of those who depend on it for their livelihoods. The Sylvia Center (TSC) operates in communities in New York City and Upstate New York with the goal of encouraging young students and their families to eat and live healthier. The key to the non-profit's success is teaching through hands-on experiences around sourcing and preparing healthy meals. TSC teaches meaningful strategies for nutritious cooking and eating through a variety of thoughtful programs. Founded in 1999 as the second urban squash program in the United States, StreetSquash is a non-profit organization based in New York City that administers comprehensive youth enrichment after-school programs in Harlem and Newark. Their programs combine academic tutoring, squash instruction, community service, college preparation, mentorship, and leadership development for young people in the 11-24 age range. NYU Stern is one of the world's premier business schools and the Office of Student Engagement (OSE) assists undergraduate students in all non-academic student-related activities. The OSE's vision is to encourage the personal growth and development of students to foster a vibrant Stern community. Pencils of Promise (PoP) is a for-purpose organization that creates schools, programs and communities around the common goal of making education accessible for all in Ghana, Guatemala, Laos and Nicaragua. All PoP facilities are built using locally-sourced materials and labor. PoP further engages with the local community through ongoing teacher training programs, progression scholarships, and WASH (water, sanitation, and hygiene) programming. Venture for America is a non-profit organization that works to spur job creation and economic growth by creating a pathway for the best and brightest students to enter into entrepreneurship. Founded in 2010, the organization runs a two-year fellowship program that trains recent college graduates from top universities and then sends them to work for startups in developing cities, where their hard work and passion for value creation has already contributed to the creation of over 2,000 jobs in cities that need it most. Knock, Knock Give a Sock is an NYU-founded non-profit that collects socks from corporations and on college campuses for the homeless. They also host Meet Your Neighbor dinners, where students, professionals, and the homeless share a meal and their stories in order to overcome the stigmas surrounding homelessness. With roots dating back to the War of 1812, Cornerstone Family Programs works to strengthen communities and improve greater civic welfare. Cornerstone’s initiatives focus on giving children the best start in life, keeping older adults independent, building and maintaining healthy families, and preventing substance abuse. The organization's services reach over 10,000 children, families, and seniors across 12 different locations annually. CWFE is dedicated to providing clean water access to schools and other institutions across West Africa. The organization implements water infrastructure and filtration systems with a focus on sustainability, community engagement, and affordability. Since its inception in 2012, CWFE has provided 6,000,000 cumulative liters of clean water. Idealist is a non-profit organization that aims to connect people looking to create an impact with volunteer opportunities worldwide, moving potential do-gooders “from intention to action”. The organization hosts an online platform where non-profits can list volunteer opportunities, internships, and full time jobs, among others, to Idealist’s database. Nazareth Housing is New York City-based housing & emergency shelter non-profit focused on serving low-income families in the community. Additionally, the organization provides workshops aimed at building financial literacy, family bonds, and general life skills, and also operates a food pantry and a furniture donation service, all in the Lower East Side. Finding the Fabulous is a non-profit organization that seeks to advance the next generation of female leaders and role models. The organization helps girls, ages 5-18, flight core challenges including fear, bullying, and media pressure, and instead focus on building positive qualities including confidence, self-respect, inner beauty and ambition. Their mission is reunite girls with fearless attitudes and revolutionary futures. Think Coffee is a Manhattan-based coffee company, playing an activist role as a proponent of ethical sourcing practices. In addition to donating 10% of annual net income to fair wage charities, Think works to convince consumers on the benefits of ethically sourced coffee beans, advocating for responsible and informed consumption. 180 Degrees Consulting began its engagement with Think Coffee in September of 2014. The Salvation Army, as one of the oldest charities in the world, has taken a global approach to humanitarian aid. With its defined purpose, “to feed, to clothe, to comfort and to care,” the organization leads initiatives in disaster relief, food distribution, personal rehabilitation, and anti-human trafficking. 180 Degrees Consulting has now advised The Salvation Army on two consecutive engagements, throughout the fall and spring of 2015. Rescuing Leftover Cuisine is one of New York City’s fastest growing food rescues. The organization, founded by an NYU graduate and former J.P. Morgan banker, works with individual donors, restaurant partners, and dining halls to reallocate excess food to those in need. 180 Degrees Consulting advised Rescuing Leftover Cuisine throughout the spring of 2015. 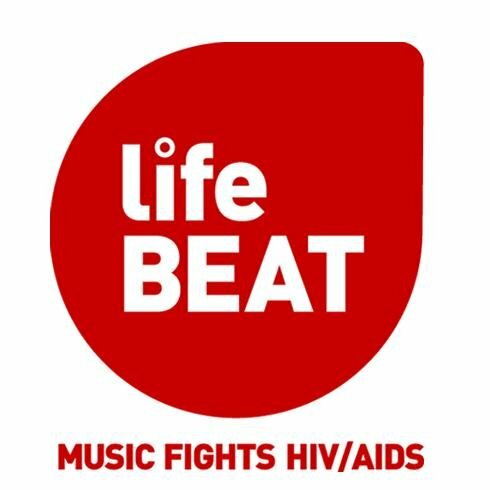 Lifebeat, a Viacom sponsored non-profit, works with celebrities in the music industry to raise awareness around sexual health and HIV/AIDS. The organization reaches at-risk youth by accompanying music artists on international tours, as well as sponsoring HIV testing initiatives throughout the greater Manhattan area. 180 Degrees Consulting advised Lifebeat throughout the spring of 2015. Trip of a Lifetime, a local NYC non-profit started by an NYU graduate, helps students gain a better understanding of the world by sending them on travel trips outside of their local communities. It aims to inspire under-privileged students and encourage them to pursue their passions through travel. 180 Degrees Consulting advised Trip of a Lifetime throughout the spring of 2015. Kiva, an international microfinance platform, is widely recognized as one of the most disruptive impact organizations in the world. Kiva’s platform connects lenders in developed nations with entrepreneurs in developing countries in order to facilitate interest-free loans that promote economic development. 180 Degrees Consulting began an engagement with Kiva in September of 2015. The Center for Family Life, a branch of SCO’s family of services, aims to promote positive outcomes for children, adults and families in the Sunset Park neighborhood of Brooklyn. The organization provides family counseling, foster care, employment, and school-based services for at-risk communities. 180 Degrees Consulting was retained by CFL in the fall of 2015.